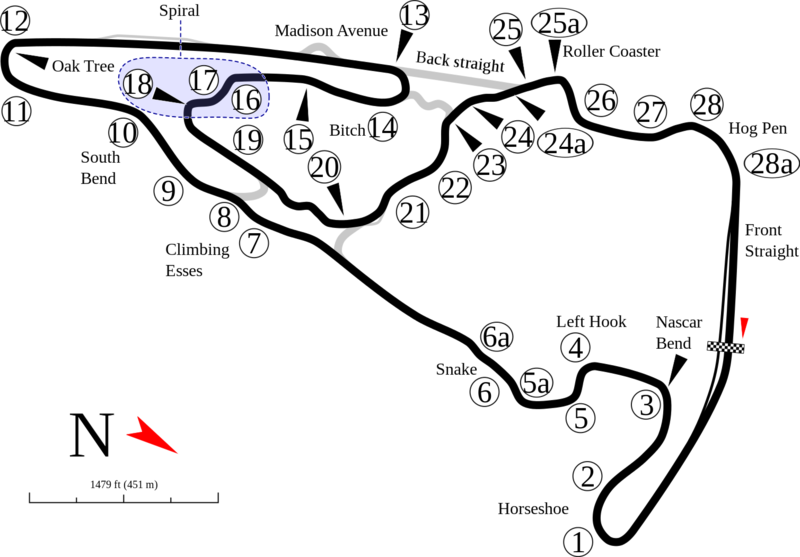 VIR was best known to be “America’s Nurburgring” where Car and Driver’s held its annual “Lightning Lap” shootout, beginning right when Kenny and Toby began participating in track days. Mazdadrivers was one of the few clubs that organized track days on “Grand West” and Kenny and Toby jumped on the opportunity to drive the Lightning Lap in 2006 and 2007. Their Boxster was well suited to the course. Just powerful enough for the Climbing Esses and the big front straight, with mid-engine nimbleness for the tight twisty infield section. The length of the track (which translates to few laps per session) and 30+ corners made it a steep learning curve. Car and Driver’s lightning lap times were also a good yardstick to measure how their driving skill progressed. For example, Dirty Molly’s best lap in 2007 was 3:20 with suspension modification and sticky RA-1 tires, while comparable cars (e.g. S2000, RX-8) in pro drivers’ hands (or good amateurs’) were 5-10 seconds quicker on street tires and without modification. It meant Toby and Kenny “needed” even more track time!